This is Irish philosopher Mark Dooley's superb critique of modern day liberalism. Liberalism here means the rejection of tradition, custom and religion. 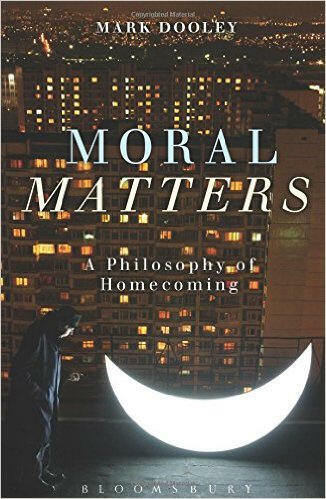 Dooley compares tradition or homecoming with our pursuit of instant gratification: video games, social network, fast food and everything else that belongs to a world he refers to as "Cyberia". Institutions are required for ordered living. One such institution is the family. There is a need for family values, not in order to impose out-dated norms, but because without the family the wisdom of the past cannot be handed down. It is in the family that children begin to identify with their forebears. We fail to see the world of home when we lose our reverence for the created order, when we forget the past. Respect, reverence and responsibility are the antidotes to Cyberia. And so we find ourselves in these pages in the world of Edmund Burke rather than the Conservatism espoused by our contemporary politicians. Respecting "British values" surely means respecting the past or it means little. It has become fashionable in certain circles to reject religion because, it is said, religion leads to violence. However, the author points out that while it is true that a small number of people do use religion to promote violence, the answer is not to reject all religion. The last century certainly demonstrates that secularism can also lead to violence. Secularism has its ideology as well: the reason why the French Revolution led to terror was because it rejected an actual state in favour of one rooted in pure thought. In contrast, when Burke speaks of the state, he speaks of it as something rooted in reality, not something that is ideal or a socialist one which seeks to dominate the lives of its citizens. For Burke, and for Dooley, the reality of the state is found in its customs, traditions and institutions. Of particular interest is Dooley's dismissal of such post-modern thinkers as Derrida, Foucault and Rorty. With this book, we find ourselves in the world of Burke, Roger Scruton and Alasdair MacIntyre. Indeed it is a fascinating and challenging work, in the spirit of MacIntyre's philosophical reflections.